We take a look at what’s on offer. Top L-R: Tramp Press; Sally Rooney. Bottom L-R: Alan Rusbridger; Sebastian Barry. THIS APRIL, GALWAY City will be turned into a literary hub when writers converge there for the 33rd Cúirt International Festival of Literature. Set up in 1985, the festival is all about shining a spotlight on national and international literary talent – and this year it will be exploring fiction writing, songwriting, essay writing, poetry and more. In taking up the role of programme director, Cullen was of course inspired by the three decades that Cúirt has already been taking place. The name comes from the old Gaelic courts of poetry in Munster, a “gathering of like-minded people sharing ideas, sharing their work and honing their craft”, she says. Alongside all the many Irish people taking part in the festival this year are writers from abroad. “I’m very interested in non-anglophone writing,” says Cullen. Diversity is a big part. Like literature in translation, literature in other cultures that we don’t normally have access to. Bringing in world and global voices is very important to me. One of this year’s visitors will be former Guardian editor Alan Rusbridger, who will talk about his book Play It Again, about how he learned to play Chopin’s First Ballade Op 23 in a year. At the event, he will be joined by international pianist Finghin Collins for a night of music, readings and discussion. More music will be discussed at the event Lyrics Of Our Lives: The Art of Songwriting on 26 April, when Julie Feeney, Paul Linehan, Brendan Murphy, Steve Wall and Sharon Vaughn take part in a talk chaired by Tony Clayton Lea about the craft of music-making. The same day, at the World Perspectives event, Catalan writer Edward Márquez, Austria’s Norbert Gstrein and France’s Hédi Kaddour will all talk about art, writing and the world. 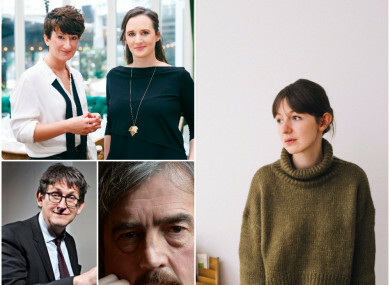 Writers like Bernard McLaverty, Sebastian Barry, EM Reapy, June Caldwell, Anna Carey, Sally Rooney and Danny Denton wil also be visiting Cúirt. Promoting new and local voices is on the agenda, with poets like Liz Quirke and Rachel Coventry speaking at events. Cúirt will include many free events, as Cullen says they are “mindful of access and keeping it as accessible as possible”. There will be an Irish language element to the programme too – Cullen is a gaeilgeoir herself. “I’m very keen as a gaeilgeoir to make sure that Galway’s unique status as a bilingual city is showcased and highlighted,” she says. The Aran Islands won’t be forgotten about, as there’ll be a writer at each secondary school on the islands working with students during the week of the festival. “At the heart of Cúirt is the writer and the reader – they remain at the core of the festival,” says Cullen. “More than ever in our digitally-saturated world, people are hungry for human connection and connection with ideas and readers and writers. Cúirt exists to really not only help readers and writers and connect them, but just to embody those relationships and to recognise them and value them. Cúirt International Literary Festival runs from 23 – 29 April this year – for more information, visit the official website. Email “Galway City to turn into literary hub this April ”. Feedback on “Galway City to turn into literary hub this April ”.